Summer is here, and that means lots of time to spend enjoying time together with your family. 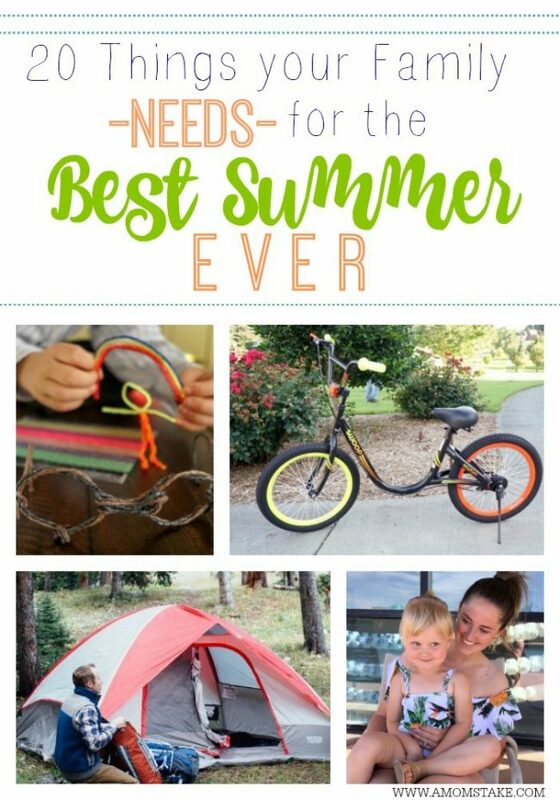 Today, we’re sharing some of our very favorite things your family needs for summer break to make the most out of the season. 1. Keep On Learning (the Fun Way): Summer shouldn’t mean no more learning. We’re making learning fun and exciting this summer with Wikki Stix! 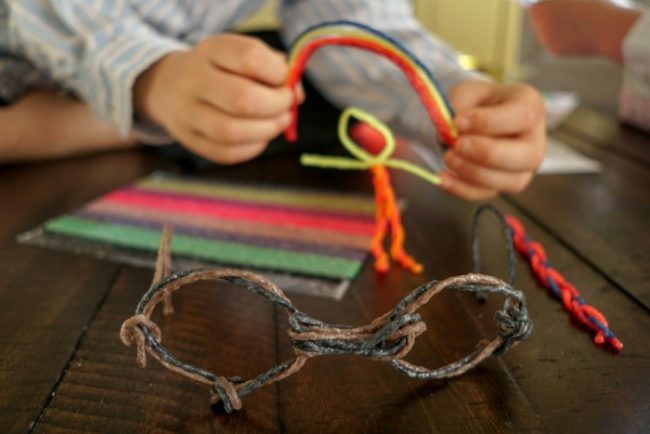 If you haven’t heard of Wikki Stix yet, they are a no mess craft supply that you can bend, twist, stick, and create all sorts of arts and crafts projects with. Challenge the kids to create a 3D art project, use them for counting and math practice, or use them alongside a Wikki Stix activity book for even more fun ways to play. Wikki Stix are a perfect on-the-go companion for road trips and summer travel or for a quiet time activity in the afternoons. 2. Learn to Ride a Bike: There’s no more excuse for the older child who’s still afraid to ride a bike. With the KaZAM SWOOP Balance Bike, they’ll be able to learn and practice balance while confidently riding a bike — using their legs for balance. 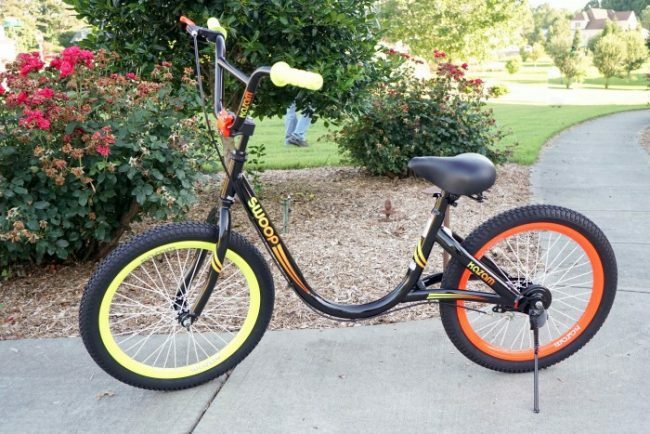 You’ve seen the balance bikes for toddlers, but this is revolutionizing the way older kids can tackle learning to ride a bike. My 11 and 7 year old boys love to ride bikes, but I’ve never been able to get my 9 year old to try. The first day he tried the KaZAM SWOOP Balance Bike he was off down the cul-de-sac and back. He’s riden the bike every day since and is getting faster and faster. It’s truly such a blessing for building his confidence and getting him outdoors playing this summer. 3. 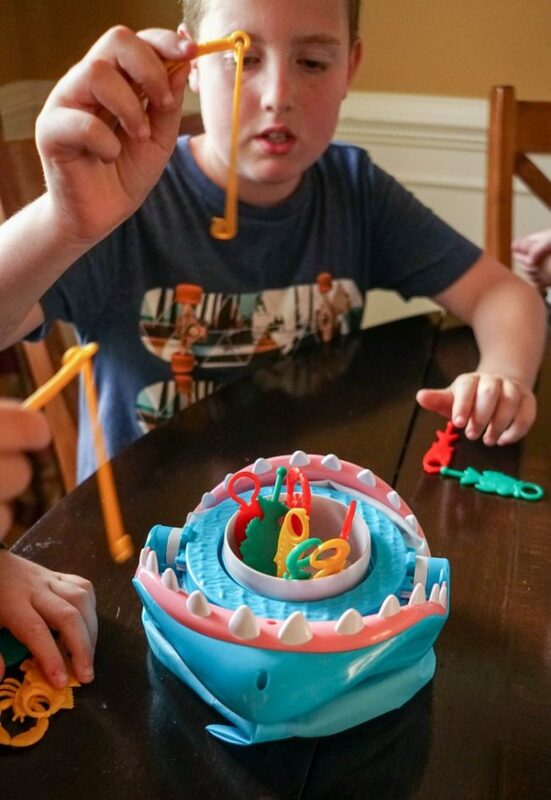 Get the Kids Playing Games Together: A great way to keep the kids entertained all summer long is with fun and silly board games by Pressman Toy and Goliath Games that will catch their attention. These new favorites had my kids eager to play together. They started with the Shark Bite Game by Pressman Toy. You load up the fish and other sea creatures into the shark’s mouth, then try to catch a fish, without getting caught by the shark. They played back to back games with everyone getting a turn they loved it so much. Another favorite was Greedy Granny by Goliath Games. You’ll try your luck at sneaking one of granny’s goodies while she naps. But don’t wake up granny or her fake teeth will go flying! They’re both such a fun theme that my kids laughed and played together. 4. Make Stories Come to Life: Summer is a great time for kids to dive into books. 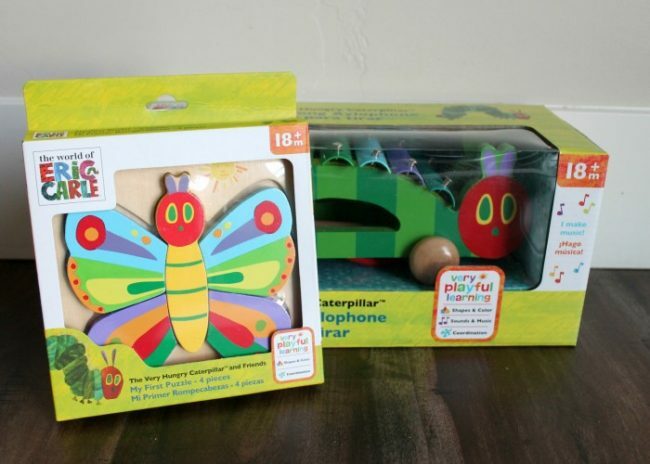 If you’re looking for a fun way to make the iconic children’s book The Very Hungry Caterpillar come to life, you’ve got to check out Kids Preferred The World of Eric Carle Toys. Perfect for musical fun, your child will adore pulling along this Eric Carle Pull Along Xylophone. For kids 18 months and up, this Butterfly Puzzle makes for great active learning. A few other favorites include The Very Hungry Caterpillar Wood Stacker, Wood Pull Toy, 30 piece block set. Colorful, high quality, and loads of fun, your children will enjoy these Kids Perferred The World of Eric Carle Toys for many summers to come. 5. Girl Summer Fashion: If you’re looking for fun, practical, and well-made summer girl’s clothing (for ages 4-16), shopping at Limeapple is a must. Perfect for every occasion, this Limeapple Cosmo Box (featuring the clothing above) can be worn playing sports, lounging by the pool, playing at the playground, etc. It covers all the basics for the perfect fashionable summer. I love the softness of the white shorts and the fun patterned yoga pants. My daughter is going to be wearing the tanks and dresses on repeat this summer. I wish Limeapple made clothes in my size! SO cute. Limeapple also features a wide variety of swim, casual, cozy, and active clothing. So many great picks to last all summer long. 6. 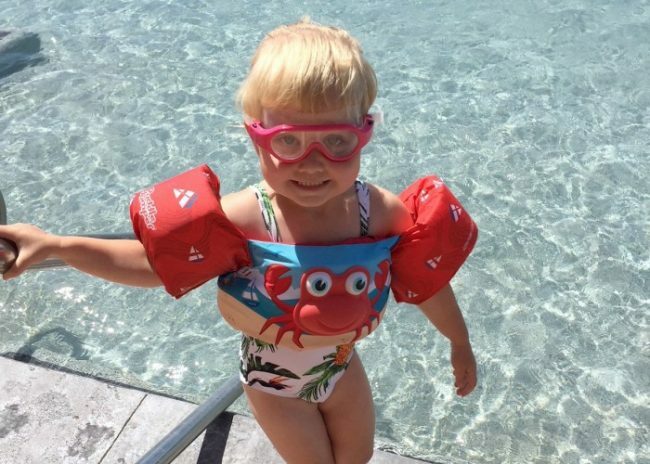 Kid Friendly Goggles: My kids spend the majority of their summer in the pool. Perfect for keeping water out of your little one’s eyes (ages 3+), Babiators Submariners are lifesavers! Whether swimming in the pool, lake, or even the bathtub, these Babiators Submariners are the best kid goggles my kids have ever owned (and trust me, we’ve tried A LOT of goggles). They are easy to adjust, keep the water out of eyes, offer a wide view, and are built to last. We even took these Babiators Submariners boating this past weekend and they kept the water out of my daughter’s eyes like a dream. Available in both blue and pink, your kids won’t want to take a pool trip without these Babiators Submariners. 7. Suit up for the Pool: One of my favorite parts of summeris matching mommy & me outfits. If you’re looking for great swimsuits at affordable prices, you’ve got to check out PatPat‘s daily deals for moms and kids. 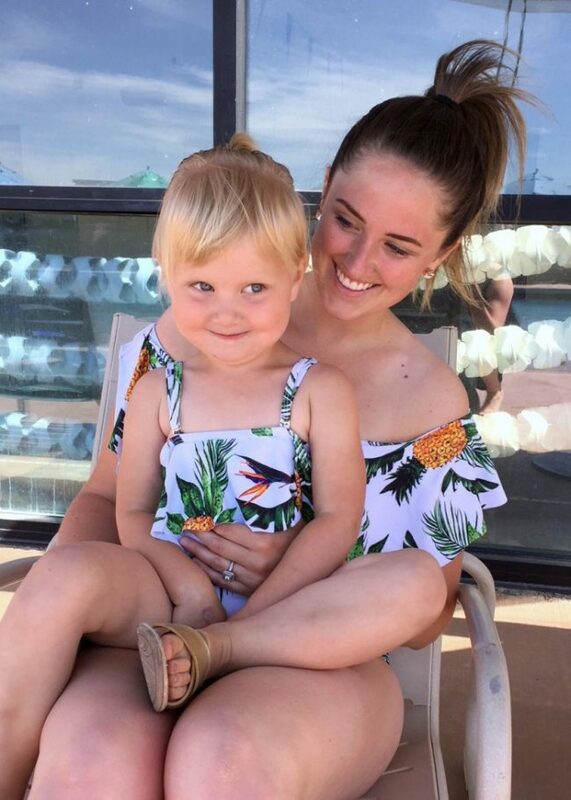 As you can see, my daughter and I absolutely adore our Allover Tropical Pineapple Printed Family Swimwear. 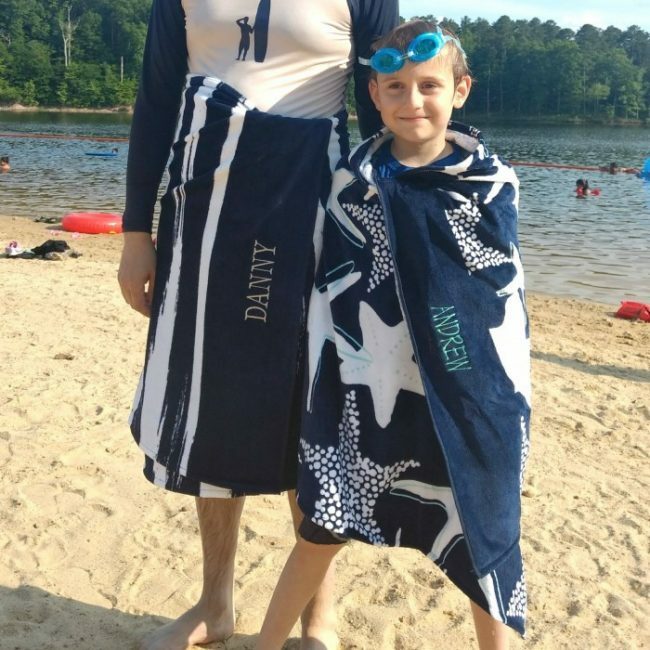 Available in a variety of sizes (as well as swim trunks for the boys), PatPat will help you feel confident as you hit the pool. A few of my other PatPat favorites include their Mom and Me One-piece Lace-up Swimsuit in Black. With other clothing and accessories available, there are so many great summer picks to choose from. For returning costumers, use coupon code AMOMSTAKE12 for 12% off your PatPat order and AMOMSTAKENEW for 16% off your order for new customers. 8. Summer Styles Picked for You: Update your kids wardrobe without the fuss — KIDBOX will deliver a curated box of stylish picks right to your doorstep! You’ll keep what you love from your KIDBOX and send back what isn’t a good fit. Each box is filled with name brand clothing styles from brands like Adidas, Guess, DKNY, 7 for All Mankind and more! You’ll start with a simple style profile to customize your size, style, and preferences. Then, a stylist will curate a box for you and send it on its way. If you keep the whole box, it’s just $98 (for ages 2T-14) or $68 for a baby box (Newborn-24M). 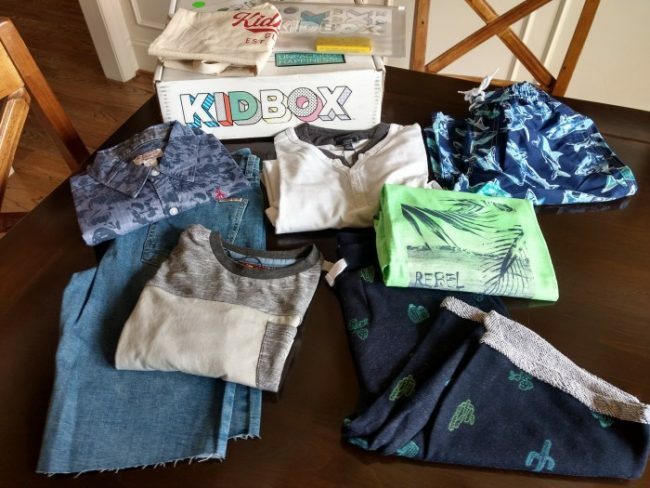 For every KIDBOX purchased, a new clothing item is donated to a child in need making this a great way to update your kids closets and do good! 9. Protect Your Skin with Sunscreen: It’s so important to use sunscreen and protect your skin all year round, but especially through summer as we spend so much time outdoors and under clear sunny skies. Clinique offers a mineral sunscreen that is perfect for sensitive skin types and safe to use on children as young as 6 months! Try the Clinique SPF 50 Mineral Sunscreen Fluid for Face that is ultra-lightweight and comfortable, and gentle enough to even be used around your eye area. Best of all, it’s virtually invisible so it won’t mess up your look. 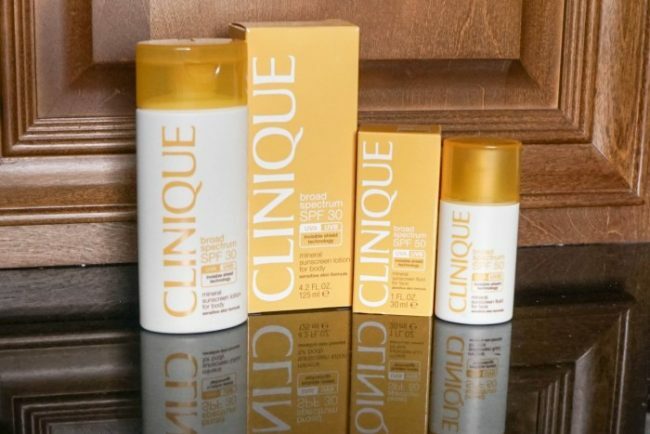 For the rest of your body, choose Clinique SPF 30 Mineral Sunscreen Lotion for Body. It’s non-irritating and absorbs quickly so you can get to the fun. Both sunscreens are oil-free, allergy tested, and include no unnecessary fragrances. 10. Shoes for the Season: Hit the trails or play outdoors, wherever this summer plans to take you, KEEN Footwear will have you covered. As a mom, I’m loving the durability and quality of KEEN sandals that last beyond when they outgrow their shoes. This year, we’re trying out the Big Kids’ Newport Neo H2 style. It’s got a supportive sole for the trail or the pool, but is airy and breathable so we deal with less stinky feet problems. KEEN offers footwear for the whole family, not just for kids. 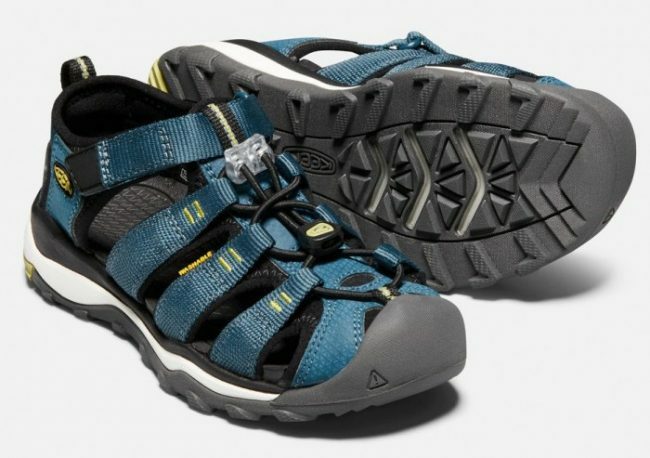 Like the Men’s Targhee III Waterproof hiking shoe that gives comfort and performance. 11. Stay Connected with a Smart Watch: Dad will love an EDIFICE Casio watch to help him stay connected, even while he’s away from the tech spending time with the family. The EQB900DB-2A Casio watch features chronography timekeeping and can link to your smartphone! This watch added a high-brightness LED light source that illuminates the face of the watch for easy reading (or to find your missing key early in the morning!) 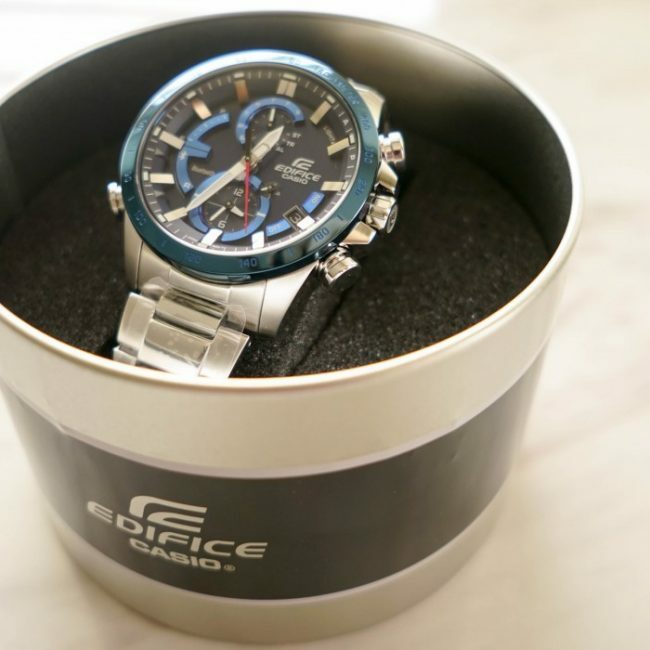 It is also the thinnest, lightest, and most compact of all the Casio EDIFICE watch line but with an enhanced bold design to make a visual impact. It’s powered by solar power to keep it going without the need for cables or replacement batteries. Update his summer look with a Casio EDIFICE watch. 12. Hit the Beach: There is something so magical about summer days filled with time at the lake, beach, or pool. This year, we’re getting ready for all the water days ahead with personalized Summer Days Towels by Thirty-One Gifts. They are one of the monthly special offers available now through July 31st for $10 off retail! There are 4 really cute prints and with personalization you’re able to create a unique towel for everyone in the family so there is no more fighting over who took my towel! Another summer must-have is their Sand N’ Shore Thermal Tote! You’ll be able to easily pack all the snacks and drinks for a day of play in the large, insulated, thermal zipper compartment. Then, the large exterior pocket has space for your sunscreen, wet suits, and beach toys with a mesh bottom to let excess crumbs, dirt, sand, or water escape. 13. Play Sports Together: Summer is the perfect time to head outside and play some ball! 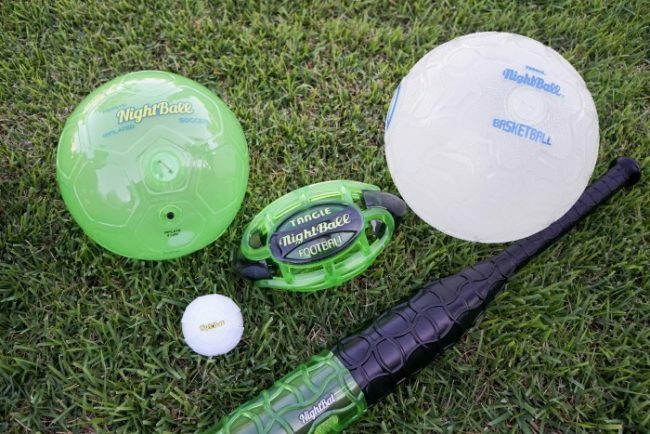 Tangle’s NightBall line makes lets them play longer (and safer) with the motion-activiated LED lights built into the line of products to make evening sports even more fun! Even during the daytime, the NighBall line is just so cool! My boys loved the translucent balls and we all had a fun evening outside playing together everything from catch to soccer. Each NightBall is water resistant and can float so they’re great to bring along on your summer adventures to the park, pool, and beach. 14. Host a Family Devotional: Use summertime to reconnect with your family and teach your children the principles that are most important to you, while they have a little time away from the pressures of school. Purpose Driven Essentials is a unique subscription box for Christian families. 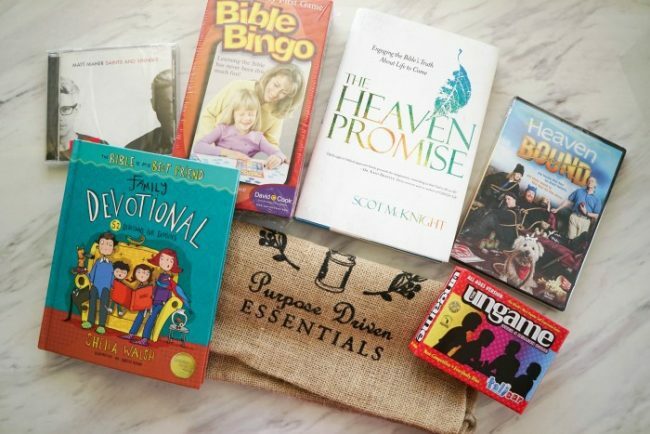 Each monthly family box includes goodies such as books, journaling tools, Christian music, family games, and an inspiring family movie. It’s the perfect way to encourage more wholesome family time spent together that also encourages your children to build faith. Purpose Driven Essentials also offers a Mini Inspire bag that is filled with books, stationary and journal supplies, or music all suited towards a single individual. 15. Bring Back a Retro Game for Family Game Night: Some of my very favorite summer childhood memories include gathering around the table for family game night. If you’re looking for some fun classic games, look no further than Winning Moves Games. 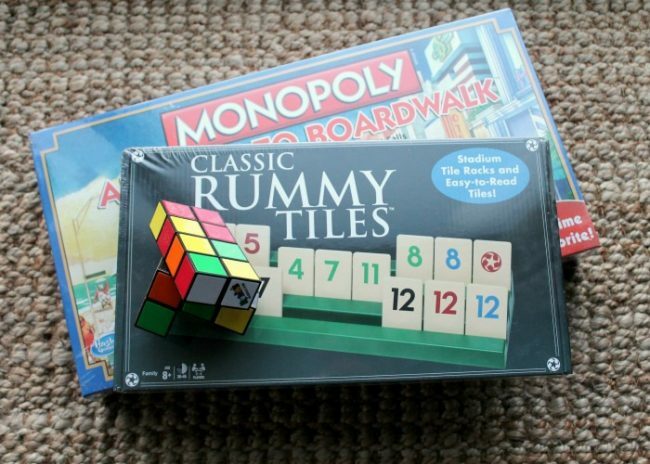 With picks like Monopoly, Rummy Tiles, Rubix Cubes, Pente, and more, you’re bound to create hours of family fun. Besides the classics, Winning Moves Games also offers a wide variety of other picks including Ice Pop Swap, Crackers in my Bed, and Triple Cross. Perfect for family reunions, trips, and family night, Winning Moves Games has all of your bored game needs covered. 16. Plan a Camping Trip: Summer is the perfect time for campouts. The weather is great and the kids are out of school looking for fun things to do. Also, there is usually S’Mores, which is my favorite. This summer, make some memories by planing a fun, outdoorsy camping trip. If you’re in need of camping gear, Wenzel Tent & Gear Company has you covered. From tents to sleeping bags, camp chairs and backpacks, their gear balances comfort and price, to give your family the best of both. Your family will enjoy the fun styles and great functionality that Wenzel’s gear has to offer. So get outside this summer and have some fun with the family and bring along some great gear from Wenzel. 17. Keep Allergens Out: With summer comes extra allergens including dust and pollen that can leave you feeling miserable. You’re family is also likely to spend even more time at home, which makes it the perfect time to pay attention to your home air quality. 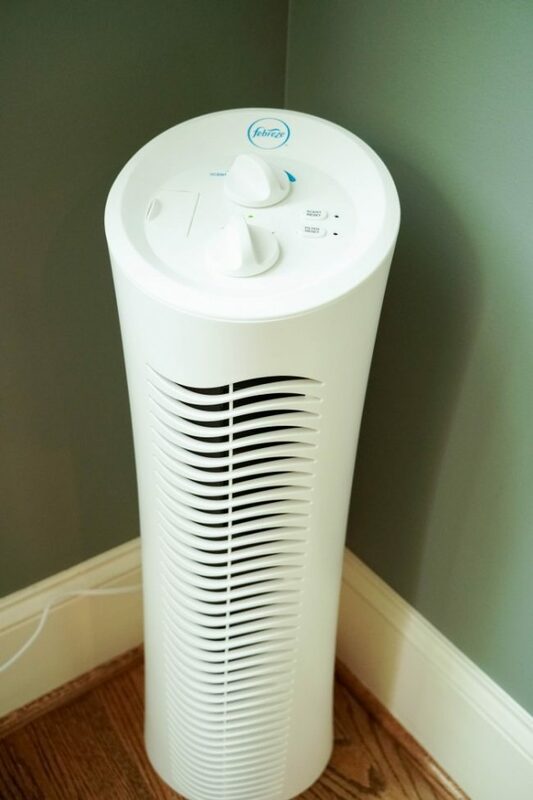 The Febreze Tower Air Purifier makes it easy to remove airborne pollutants and allergens including dust, smoke, pollen, pet hair, and dander. The Air Purifier even includes a Febreze scent cartridge to make your room smell fresh and clean. There are three different levels of air cleaning, to fit the need. Start with the highest setting to give your home a clean start, then turn it down to the lowest setting for a quiet and efficient performance. The Febreze Tower Air Purifier is designed for large rooms, up to 170 sq ft.
18. Make Travel Easier: I don’t know about you, but my family travels a lot during the summer. Traveling (especially with kids) can make it tricky to keep your clothes looking fresh and wrinkle free. Luckily, traveling just got easier thanks to Reliable 150GT OVO Travel Iron. Lightweight, compact, and versatile, this 150GT OVO Travel Iron is the coolest gadget. Use it as a regular steam iron, or hold it upright and press the button for a garment steamer. It works quickly and effectively to get wrinkles out in seconds. 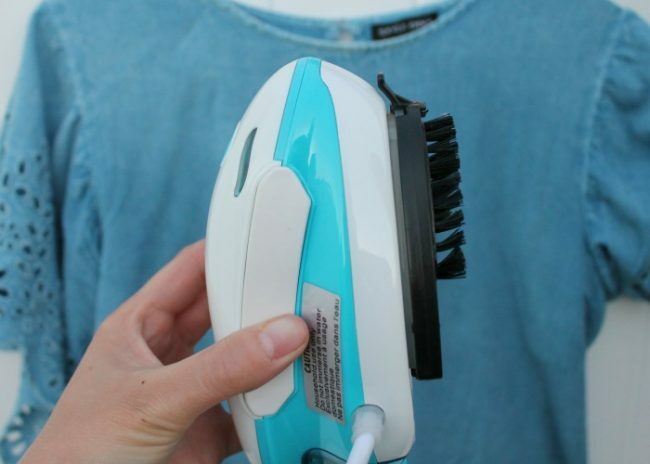 I find myself using the 150GT OVO Travel Iron on just about everything in my wardrobe – shirts, skirts, and my husband’s church clothes. I think my favorite feature is the ability to steam clothes to perfection. Because of it’s small size (I can hold it in one hand), it doesn’t take up much space in a suitcase – talk about a lifesaver for summer travels. 19. Unwind and Take it Easy: Some summer days just call for extra relaxation. Whether you need to unwind after a long day at the office or in the sun, Naipo will take care of all your at-home massage needs. For tired, achy muscles, Naipo Shiatsu Kneading Massager Neck & Shoulder Massager with Heat uses 8 different deep-kneading massages to soothe your body. 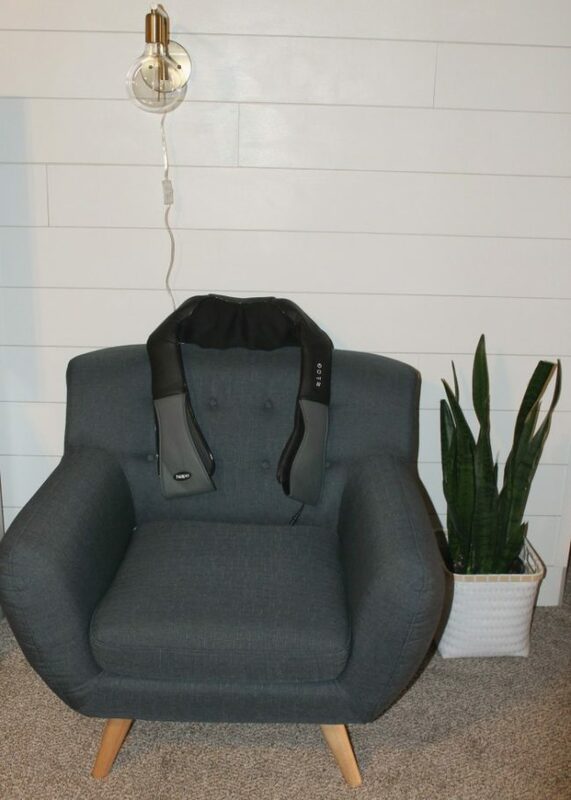 Use this neck massager at home, the office, or even in the car (talk about kicking road trips up a notch). A few other awesome Naipo products you may want to check out include their Cordless Percussion Massager and Neck and Back Massage Pillow. Talk about creating the perfect at-home spa to unwind after a long summer day. Use coupon code NPA8ELDK for $20 off your purchase. 20. Snack Healthy: Summertime is the time to veg around the house without any deadlines. Kids tend to focus on all of the snack food we keep around the house and eat not so healthy for months. This summer, help them make more nutritious choices with Sneakz Organic Milkshakes. Sneakz Organic Milkshakes are protein-packed shakes that feature a half-serving of veggies in each Yum-filled shake. They’re designed for kids with Chocolate, Strawberry and Vanilla flavors. They’re also completely natural and organic, as well as gluten and GMO-free. 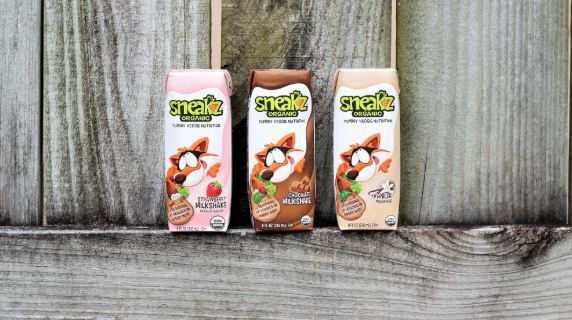 Sneakz Organic Milkshakes are sure to be a summertime favorite snack for kids and parents alike. Such a great article thank you ! I need that smart watch!!! I’ve been wanting one for a while. These are really great ideas for summer!! Awesome list!! These are all awesome ideas! I especially love the family game night. We could definitely use a fun night like that very soon. We’re all about unplugging for family fun this summer. This is a great list! I love this list – will give me some inspiration. I need more sidewalk chalk already … and bubbles! We are going through it like crazy! “AMOMSTAKE12” FOR 12% off on regular order and “AMOMSTAKENEW” for 16% off my first order? That is a great list! Definitely summer must have’s! I love the children’s clothing, it’s one of my favorites. I love all of these ideas, and I agree. Some of these are items that I need to pick up. I’m still looking for a tent for my family. We haven’t been camping with our kids yet, and really want to do that. I can’t believe my kids will be off from school already next week! I need to get some of these boredom busters stat! You seriously have everything covered here! Love all of these ideas and those bathing suits are especially cute! These are fun picks. I really like the Wiki Stix. They look like a lot of fun for creative play. Great list of activities. My kids too love the pool in summers.